Camp Rock Enon consists of 860 acres nestled in the foothills of North Mountain in Gore, Virginia. 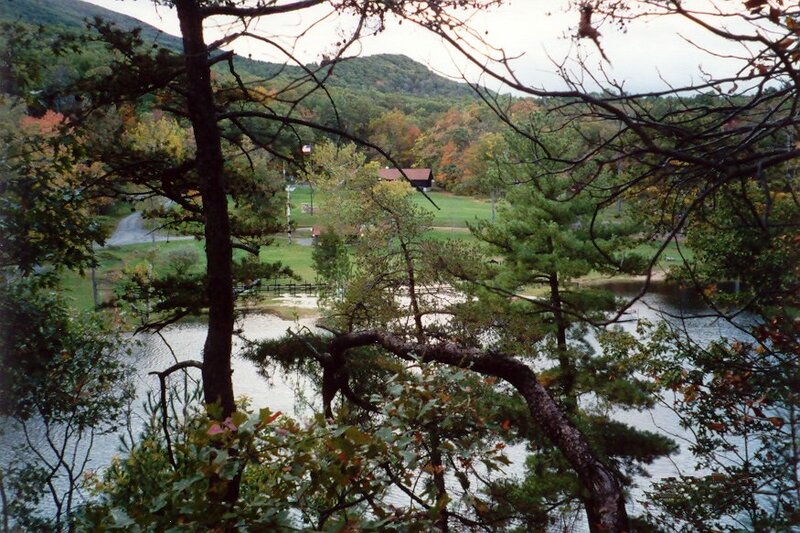 The camp was first opened in 1945 by the Shenandoah Area Council as its Boy Scout Summer Camp. Over the years many upgrades have been made but the “Rustic Splendor” enjoyed in 1945 are still enjoyed by all. Camp Rock Enon is still being utilized as the Summer Camp for Boy Scouts and also for Cub Scout Resident Camp, Cub Weekend Camp, and Explorer/Venturer Weekend Camps. In addition, over 3000 Scouts and Scouters from Cub Packs, Scout Troops, Venture Crews, and Explorer Posts camp on their own during the off-season. The site of Camp Rock Enon was originally the home of the Rock Enon Springs Resort. Rock Enon Springs Resort was built up around a mineral water spring and was originally called Capper Springs after an early settler, John Capper. In 1856, William Marker bought the property and built a hotel to accommodate guests at the springs. The resort contained six types of springs on the 942 acres (3.8 km²) of property. During the mid 19th century, it became very popular as a place for people to heal various ailments by soaking in the spring's "medicine" waters. The resort survived the American Civil War and continued to draw Virginia's elite. It changed owners several times until, in 1919, it was purchased by Fred Glaize, Sr. and Lee Herrellin who tore down several buildings and the original wing of the hotel. The resort continued to lose business until 1945 when the Glaize Family sold the resort to the Shenandoah Area Council, Boy Scouts of America who now use it as their summer camp, Camp Rock Enon. 16 miles west of Winchester, Virginia on Route 50 West. Take left at Gore, Virginia (look for the BSA Camp road sign). Take left on Route 704 (look for Camp Rock Enon Sign). Go 4 miles and make left on 683 (look for Camp Rock Enon Sign) - will take you to camp.